Should also meet all other eligibility requirements as applicable. Section 319(a) of the Immigration Act is applicable for the process of naturalization. 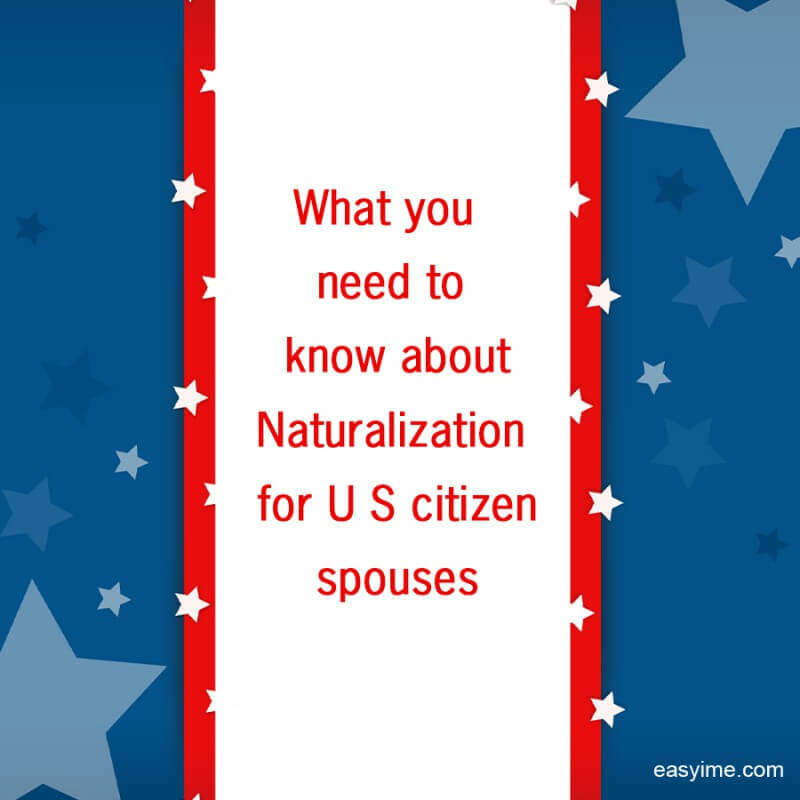 In some cases, those spouses of U S citizens who have been employed abroad may also qualify for naturalization without any regard to the time spent by them as permanent residents. These spouses can also then qualify under Section 319(b) of the Immigration and Nationality Act. Should be staying as a permanent resident for at least 3 years before the date of filing for Form N-400, the Application form. Should have been married to and living with a spouse who is a U S citizen. Should have stayed for a constant period in the United States from the date of applying for naturalization until the time naturalization is done. Should have lived within the state with USCIS jurisdiction for at least 3 months before the date of filing the application of naturalization. Good cognizance the English language is a pre-requisite, coupled with an understanding of U S history and civics. 1. Who is required to appear for the Immigration Medical Examination? Any person who applies for adjustment of status in the United States, or applies for an immigrant visa at a US Consul office abroad must go through a medical examination which will also include a vaccination evaluation. Note: Only if the person is applying for registration based on his or her entry before the year 1972 and has stayed on continuously in the United States since that date is not required to go through a medical examination. 2. What if the applicant is pregnant? If the applicant is pregnant she is required to go through the medical examination but some parts of it may be postponed until after the baby is delivered. Any such concerns should be openly discussed with the USCIS Civil Surgeon or with the Panel Doctors to avoid any complications later. 3. What if the vaccinations that need to be taken are against the applicant’s religious beliefs or moral ethics? If the applicant’s religious beliefs do not permit the administering of vaccines the applicant is still eligible for adjustment of status, provided he or she applies for a waiver of vaccinations that need to be taken. This entry was posted on February 4, 2015 .